I'm so excited about this new series I begin today! Writers are storytellers, but musicians are, too. Today we begin a journey into the independent music realm. Most of you will agree that books take us to unknown lands and put us in the middle of life issues and relationships that often become some of our best friends. Music and its stories, well, they transport our souls to a different plane. They soothe our spirits and bring joy to our lives. Today, I have the honor of introducing you to the Australian band SAOIRSE (pronounced SEER-sha). In 2015, SAOIRSE were invited to represent Ireland at the World Cricket Cup event staged at the Myer music bowl in Melbourne. 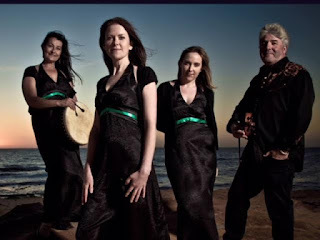 In August 2016 the band traveled to France to represent Australian Celtic music at the invitation of the Festival Interqueltic De LORIENT, the largest Celtic music festival in the world. It was a great honour to be selected and to be part of such an amazing event. While in Europe the band played several gigs in Ireland, the Coleman centre, Sligo, Whelan's, Dublin, and An Culturlann, Belfast. 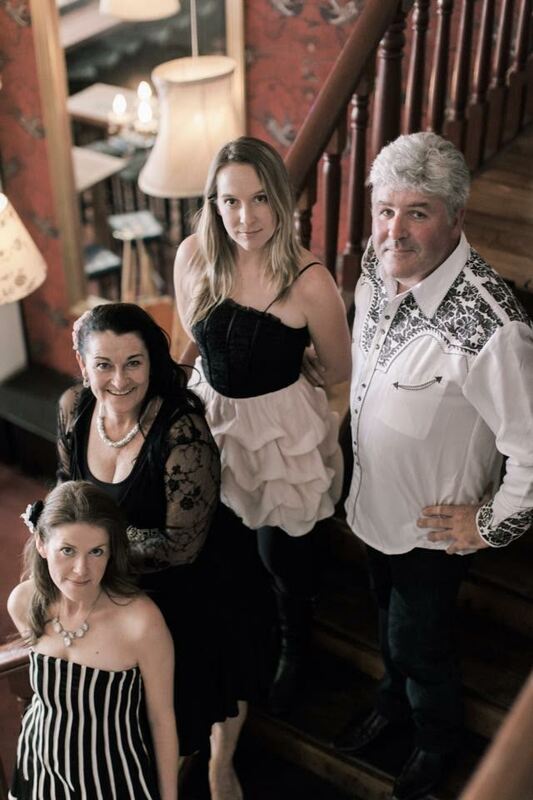 Most recently, SAOIRSE were honoured to play at a reception in Melbourne for Irish president, Mr. Michael Higgins. 2018 is shaping up to be another busy year with Festivals lined up and a new CD in the pipeline! With soaring harmonies, beautiful ballads sung in English and Irish, including original material, jigs and reels, and even the odd step dance, a SAOIRSE performance will engage and delight your inner Celt! Bernadette O'Neill - Bodhran, Vocals and feisty feet! Kerry Mc Manus - Accordion, Whistle, Vocals and feisty feet! They are close to releasing a new CD but are happy to promote ‘Music Evermore' which is available on iTunes and CD baby. YouTube Saoirseoz. Please join me for part 2 of Telling Stories Through Music on August 27th. I personally love using music to work on my writing, and I'm almost always playing instrumentals! I love celtic music i'll have to check them out thanks for the recommendation. My friend plays in a celtic band as well I'll have to pass it along to her.Thanks Grace. Can't wait to hear who's next. Wonderful start to your new series!! Thank you, Grace! Today on #OurAuthorGang, author Grace Augustine​ starts a new and wonderful series, "Telling Stories Through Music." Grace, as a retired musician . . . I approve this series, lol! Gonna check out this band, too. Thanks for posting! Welcome, Saoirse. I am a Celtic music. Looking forward to listening to your group. Lovely post Grace! I love Celtic ballads because much like Hungarian ballads, they tell wonderful stories. Cool. I love celtic music. Another group to put on my listening list. Musicians are storytellers to. Find out about some groups with Grace. Check out an Australian band that plays Irish folk music. 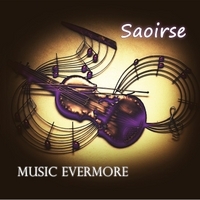 Beautiful harmonies and authentic playing from the skilled musicians that are Saoirse. Being half Irish, I grew up with this kind of music. My dad could play any instrument he would pick up, sadly he didn't pass on his skills to his children. To make up for it, I married a musician. Lovely music guys. Sounds like an awesome group! I will have to checkout SAOIRSE. I love Celtic music and find it relaxing and inspiring when I write my novels. Thank you for sharing this group. Bernadette, it's a delight having you as our guests today!